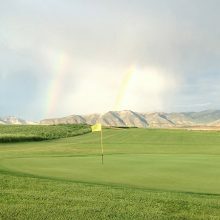 The City of Grace is snuggled in a beautiful valley located in southeastern Idaho just thirty (30) miles from an interstate highway and one hours travel from two large cities, Pocatello, Idaho and Logan, Utah. Grace has a population of approximately 1100 people in addition to the many families residing throughout the valley. In general, life is not as hectic here as it is in the more urban areas and is very conducive to raising a family or retirement. Black Canyon lies a mile to the west of Grace and is truly an impressive site. Visitors are taken completely by surprise when they first see the canyon. It appears almost from nowhere as an astonishingly deep, narrow gorge cutting straight through solid lava rock. Its deep pools and gentle terraces make Black Canyon a favorite spot for fisherman. In the past, the waters of the Black Canyon have received national attention as one of the most difficult kayak runs in the country. This is one scenic detour that should not be missed. Niter Ice Cave is located approximately 3 miles south of Grace just off the main highway. Road signs point out the spot. Thousands of years ago, a volcanic eruption formed a huge lava tube that eventually cooled to form this cave. Early settlers in the area found the cave a great place to store their food and collect ice all year around. It was a favorite picnic spot and recreation site. 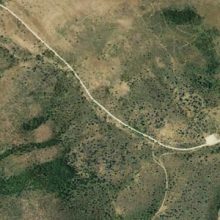 The Oregon Trail with authentic pioneer burial sites. This area is also known for it great hunting and fishing. 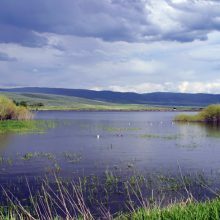 Deer, elk, geese, ducks, grouse, trout, and many other species are in great abundance. The ominously named Last Chance Canal runs parallel with Grace’s main street, while the mountains of the Wasatch front provide a very scenic backdrop. 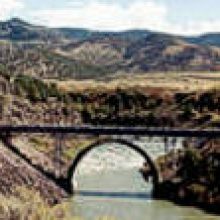 The Last Chance Canal Company was started with 64 original stockholders–Gem Valley farmers who desperately needed the life-giving waters from the Bear River to grow their crops. Later, another dam was put in place 40 feet below the first, with money borrowed by these men, in spite of their limited resources. Each year, Caribou County hosts in Grace the Caribou County Fair and Rodeo the first week of August. Among the high points of the fair are the parades. A children’s parade is held on Wednesday of fair week. Following the children’s parade, the public can participate in a watermelon bust that is sponsored by the Grace Chamber of Commerce. Caribou Highlands Golf Course, a nine hole golf course located about 10 minutes west of Grace, was opened several years ago and is still undergoing expansion. The local geography was used to make a very unique and challenging course. The Cultural highlight in Grace has been the creation of a Performing Arts Committee by the Grace Chamber of Commerce. Each school year they sponsor an outstanding series of cultural events that are held in the new 520 seat Gem Valley Performing Arts Center. Past participants include Michael McClean, Kerry Christensen, performers from Brigham Young University, Utah State University and Brigham Young University Idaho. 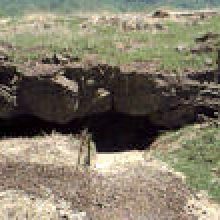 The Cave was formed when basalt lava flowed out of a vent 500 thousand years ago forming a lava tube typical to this type of volcanic activity on the Snake River Plains. It was important to early settlers and native Americans for food storage. 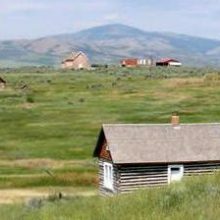 Established in 1879, this historic community on the Oregon Trail is a well preserved example of a small Mormon settlement. The town site features 23 historic buildings, many of them brick, built between 1884 and 1904. Grace Idaho Trailhead for snowmobiling, ATV riding and mountain biking. 9 holes and driving range with RV Park. 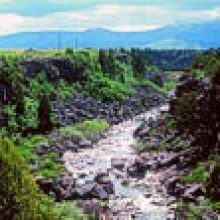 Located in the secluded, beautiful Gem Valley of Southeast Idaho. The course was carved out of natural lava flows and is surrounded by thousands of acres of farm land. This site is the point on the Bear River where water was first diverted by Mormon settlers to develop an agriculture industry in Gem Valley. It was completed in the early 1900’s and was an engineering masterpiece for it’s time. The Black Canyon Gorge is just one mile west of Grace and offers display of a basalt lava flow combined with the effects of nature over time. The Bear River formed the canyon as it cut through a series of lava flows. 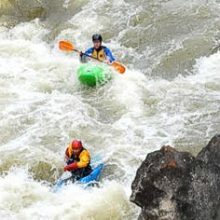 The Bear River is a great place for Whitewater recreation for Kayaking and River Rafting! The Black Canyon below the Grace dam and the Oneida Narrows. Grace Fish Hatchery was built in 1946 and is operated by Idaho Department of Fish and Game. The facility raises rainbow trout, Bonneville cutthroat trout and lake trout. 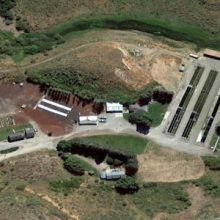 Funding for Bonneville cutthroat trout production is provided by PacifiCorp.